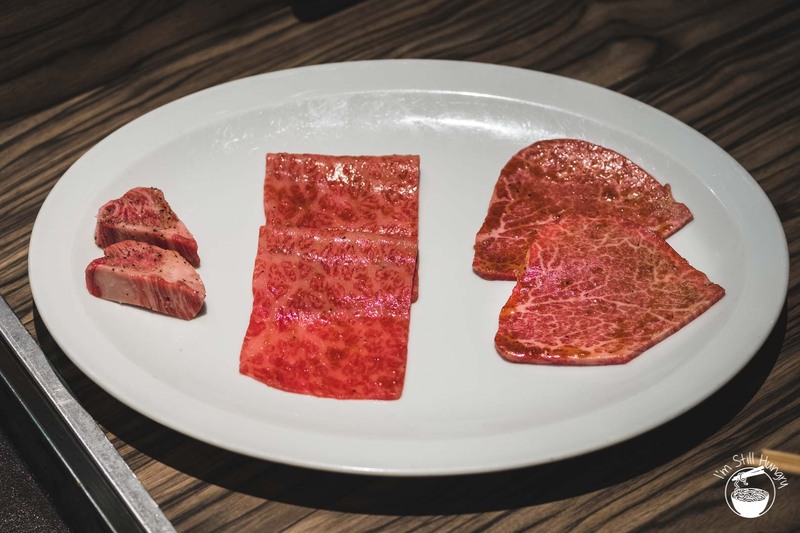 One of my best meals of 2018 was at Yakiniku Jumbo Hanare, a restaurant whose entire business revolves around sizzling the greatest gift God bestowed upon meat eaters. 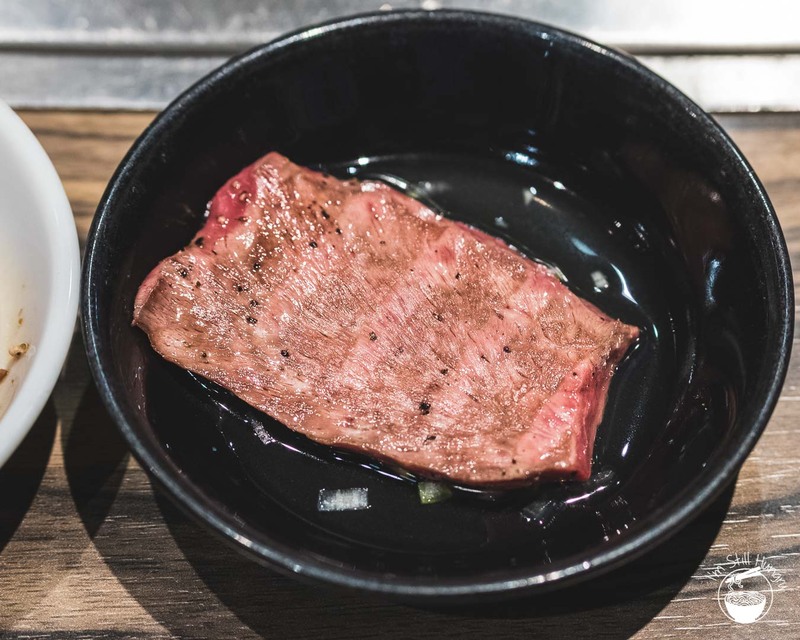 If the destiny of wagyu cattle is to be slaughtered for our consumption, then Norimitsu Nanbara’s restaurant may well be bovine heaven – somewhat literally. 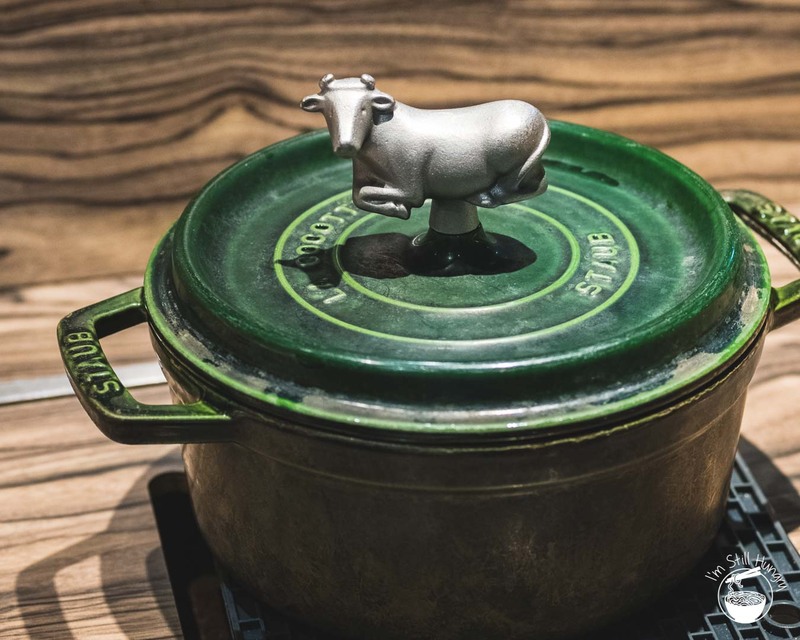 The restaurant’s singular focus on top-tier A5 and A4 kuroge cattle makes it a pilgrimage destination for those that worship all things bovine: cow head statue and all. 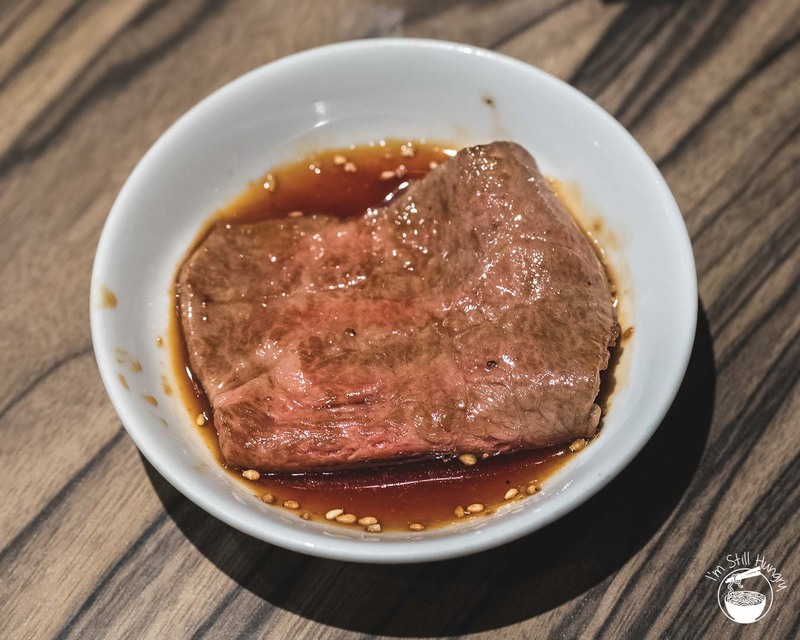 Here’s a fact: yakiniku (lit. 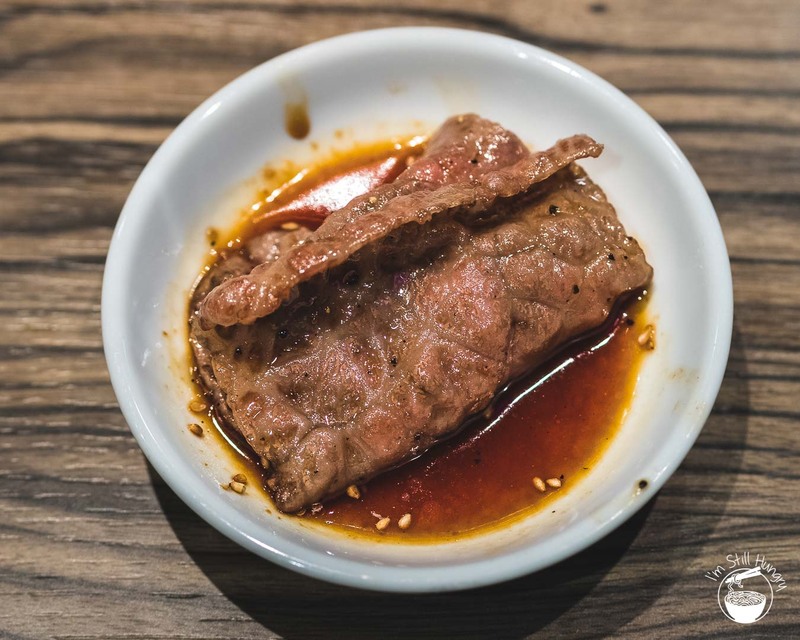 ‘grilled meat’) did not come from Japan despite the Japanese name. 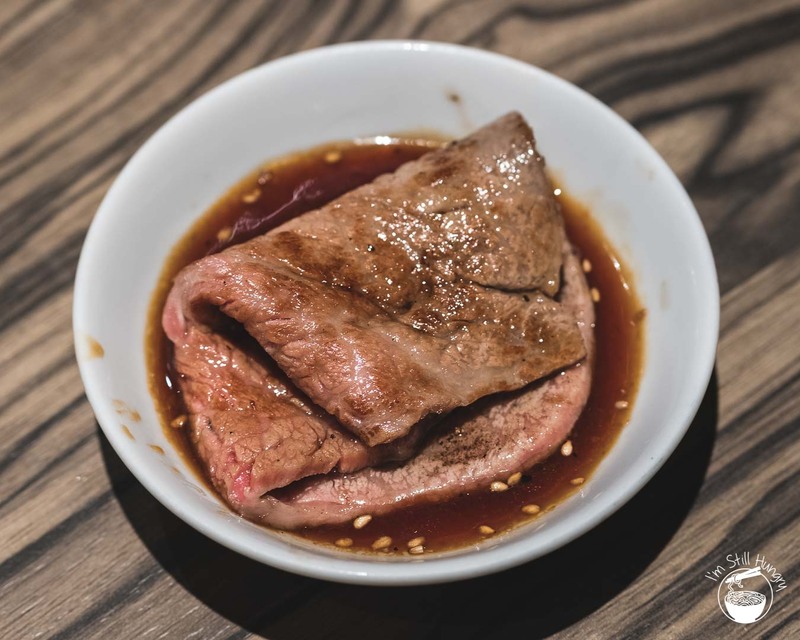 In fact, it’s a bit of a misnomer, as the entire concept (particularly that of marinated grilled beef) came from the Koreans in the 19th century, who themselves got it from the Mongol invasions of the Middle Ages. You know, that period when humans got really stabby stabby with each other. 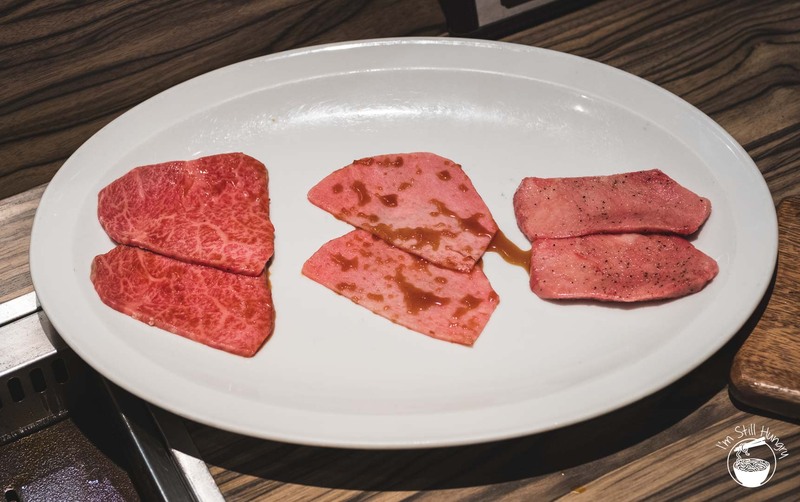 History lessons aside, the fundamental theme I want to draw out lies with with Japanese appropriations of other countries’ cuisines that extends to yakiniku: the Japanese are masters at taking something, change (or ‘appropriate’ if you will) it, and as can be often argued – elevate it into a product that’s unmistakably their own. 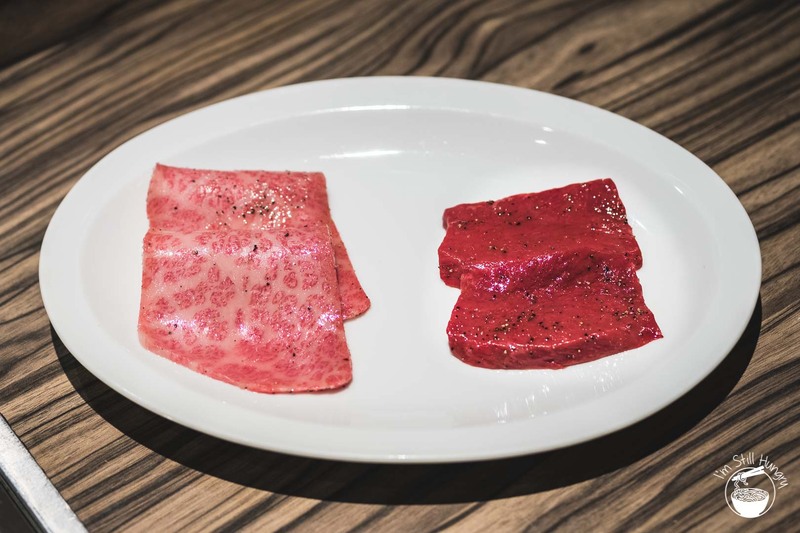 In Tokyo, there are maybe five or six yakiniku restaurants that respect beef at the highest level. A rather obvious conclusion that should be spoiler-free at this point: Jumbo Hanare is one of them. 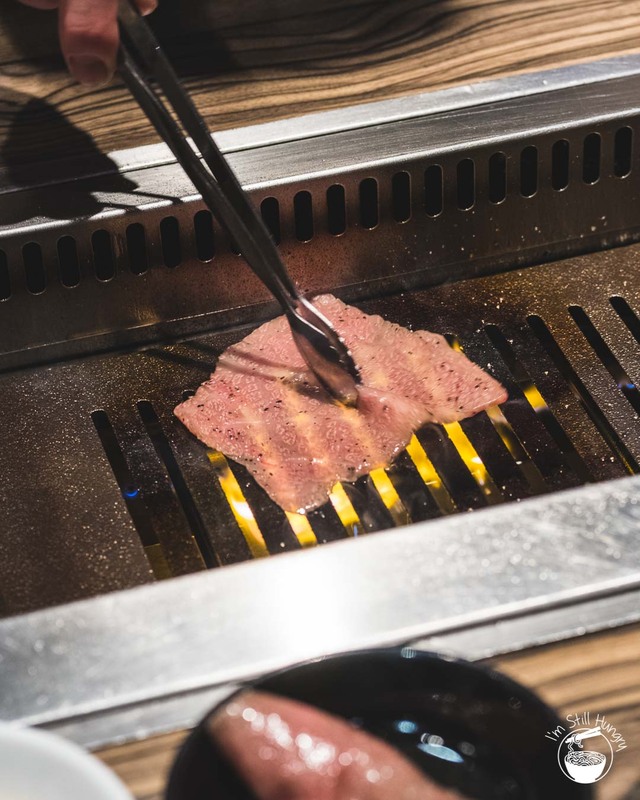 Reminding us all of yakiniku’s Korean roots. Heck, the restaurant even serves a Korean namyeong! 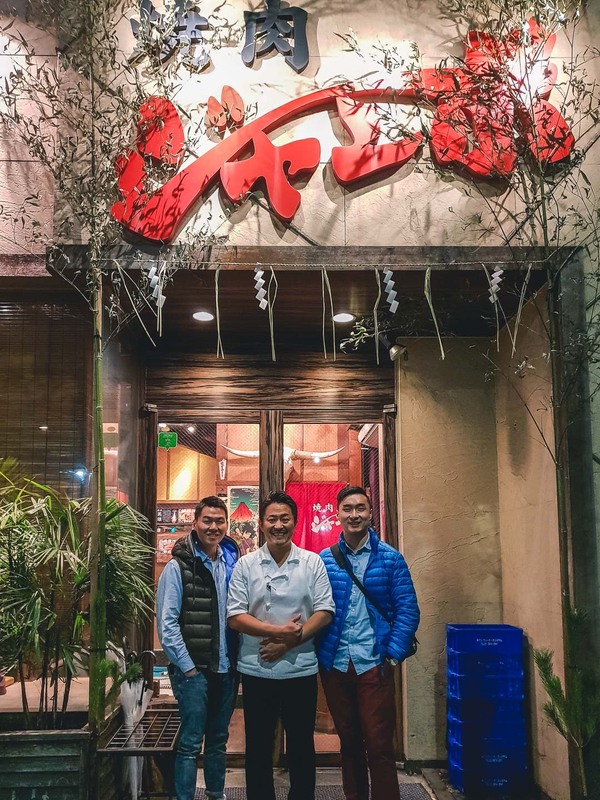 A few important titbits to keep in mind when attempting to book a seat at Jumbo, and all of them happen long before you step foot inside the restaurant. Firstly, make sure you’re booking the right Jumbo. 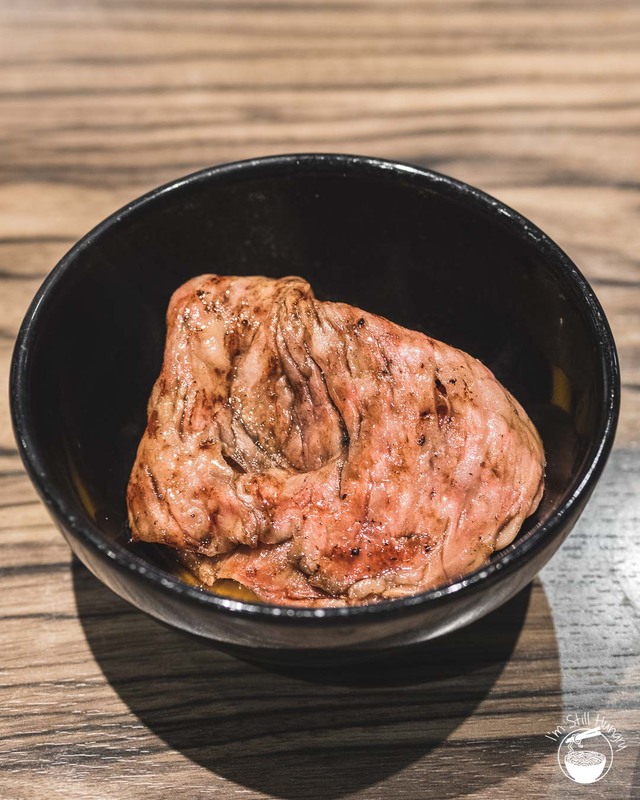 Norimitsu Nanbara actually runs a micro-empire of three restaurants that do different things at different price points – wagyu being the connective tissue. But for you, dear experience-seeker? The right place is ‘Hanare‘ (lit. ‘separate/branch store’), the flagship. 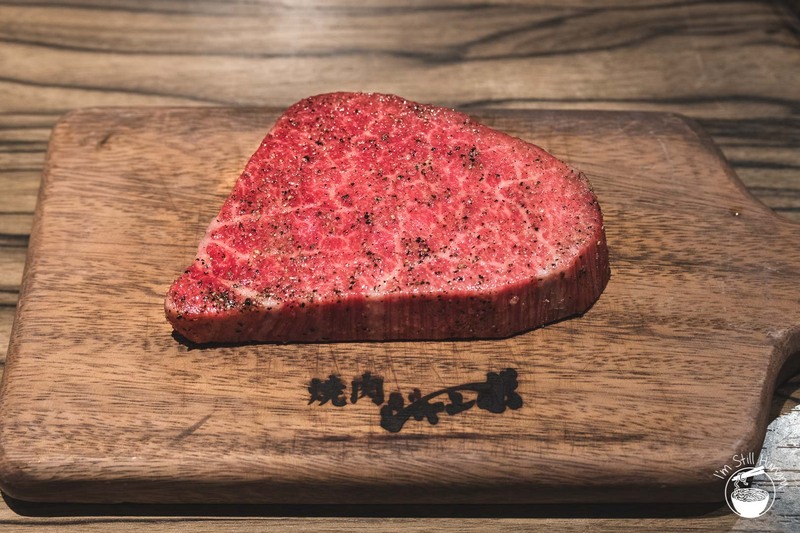 Here, dedicated chefs cook your meat using only the best A5 (and sometimes A4, depending on availability) sourced by Nanbara himself. 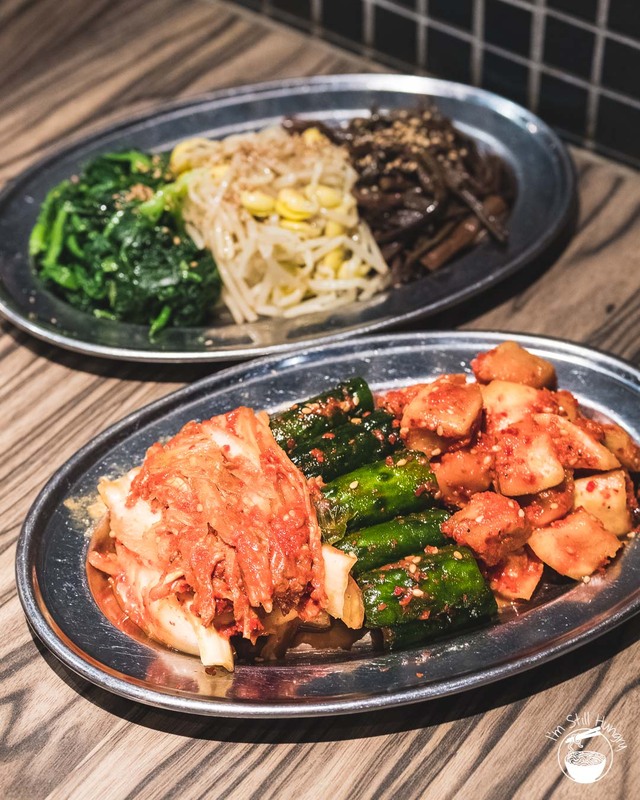 Be careful: Hanare is located literally opposite Jumbo Hongo, which is your classic, DIY Korean BBQ-style joint. Not. The. Same. While Jumbo Hanare is assuredly at the ‘fine dining’ end of the spectrum, with counter seating and all, I found it most curious to find that a la carte is the default menu format. For a bit of juxtaposition, even ‘pedestrian’ dishes such as beef ramen can be ordered off the menu. 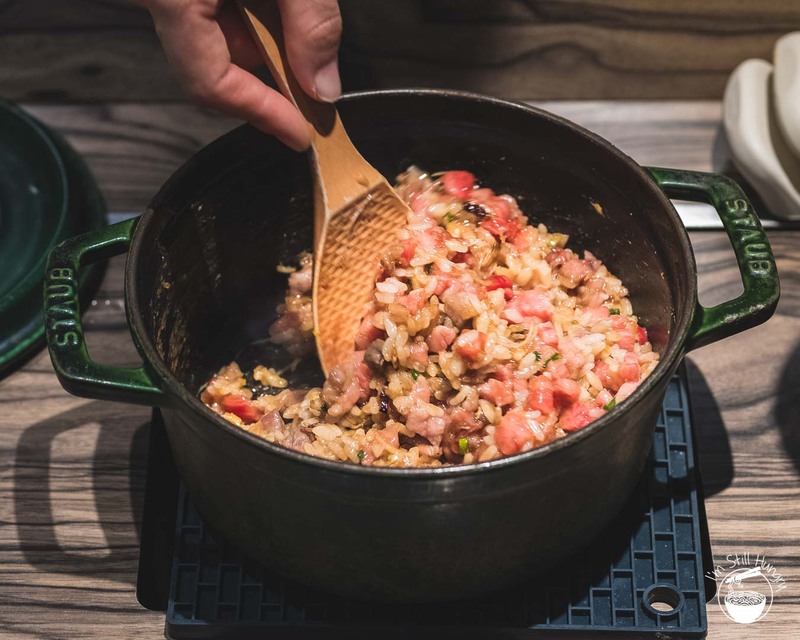 It’s almost certainly going to be good, and I do understand that not everyone wants to sit through 10 courses of meat, and some will pay for quality – no matter the dish. But then why wasI here? 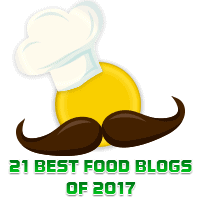 No fear – countless bloggers have already cleared the path: there is an omakase menu, featuring Nanbara’s greatest hits. 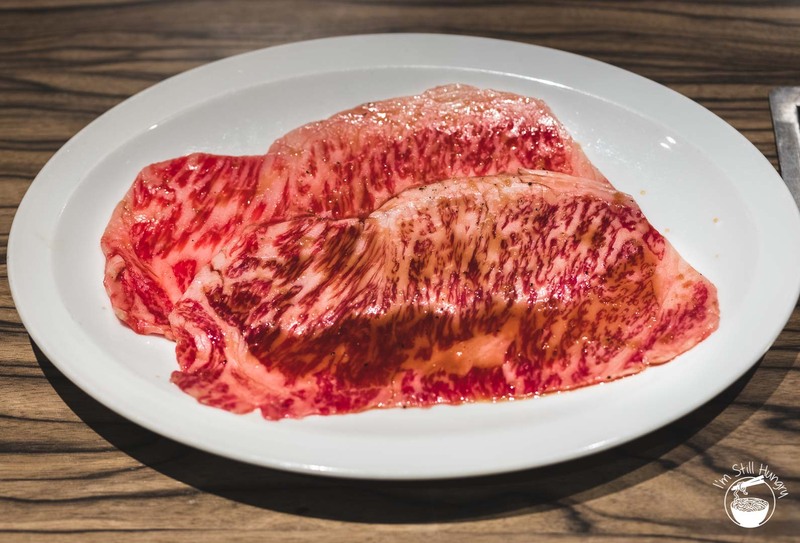 The signature noharayaki that’s akin to a religious experience, the wagyu nigirizushi, the chateaubriand…no sweat right? Except meat sweats. The restaurant’s rather plain decor (I like the exterior much more than the interior!) 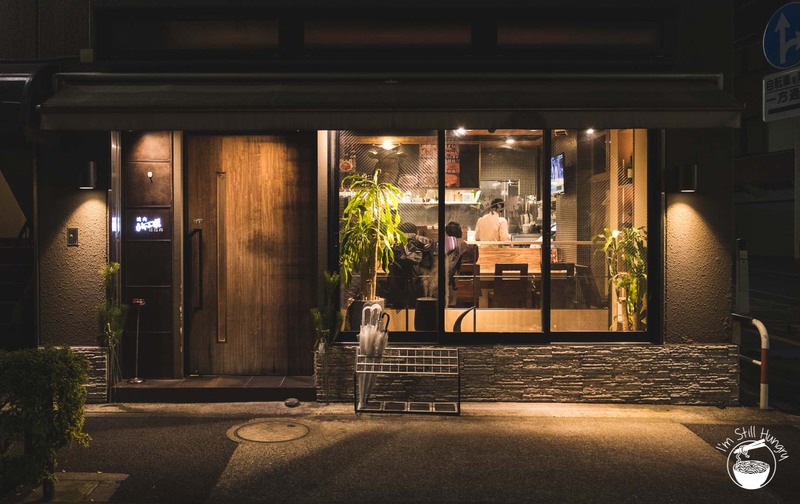 would confuse anyone into thinking this is just one of Tokyo’s many thousands of average (by Japan standards) restaurants. I certainly thought this – but all doubts were dispelled when I stepped through the door. That smell. Never have I ever lamented the inadequacy of the written word more when it comes to its capability in conveying sensation. If only you could smell what I could smelled – almost tasted – from the moment I walked in. It was at this point that I knew the experience would be nothing short of sublime. Of course, it was. The completed noharayaki. 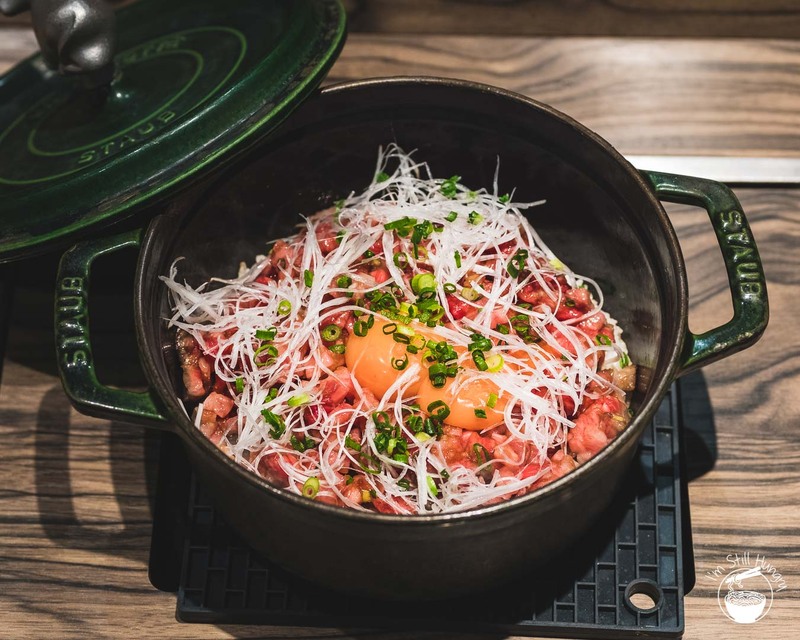 This is Nanbara & Jumbo’s signature dish: a thinly-sliced, marinated sirloin that’s grilled for about ten seconds and then dunked into a bowl of raw egg yolk. 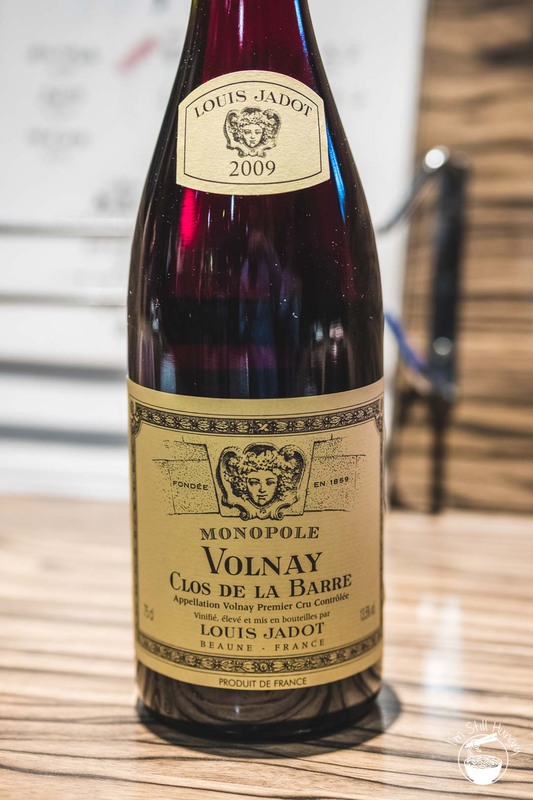 It is ‘pretty f*cking amazing’ as some friends would like to describe it. I concur. The noharayaki in action. The cooking, like most other pieces was over in no time! 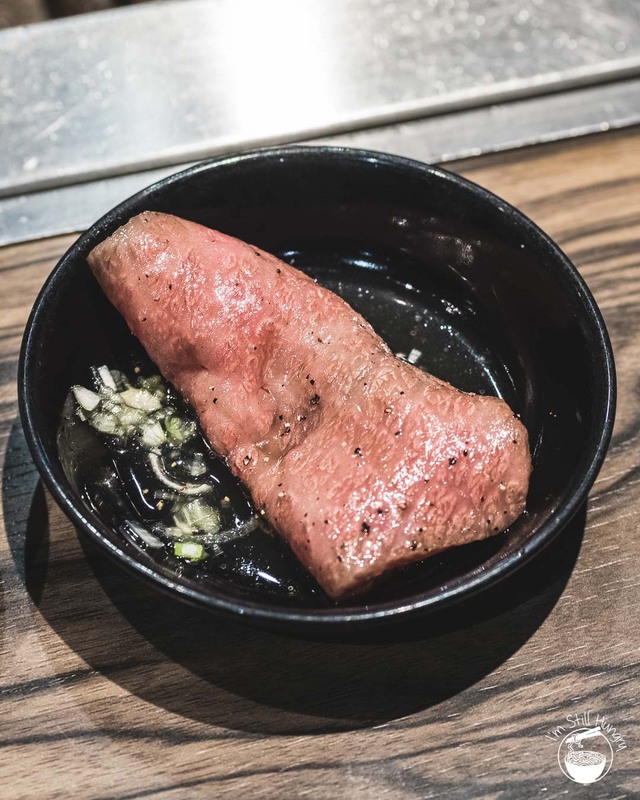 Our omakase at Hanare spanned some 9-12 beef courses (depending on how you choose to count them), encompassing many well-known and some not-so-well-known parts of the cow. Heart, tongue, chuck, upper rib, chateaubriand, rump, tenderloin. 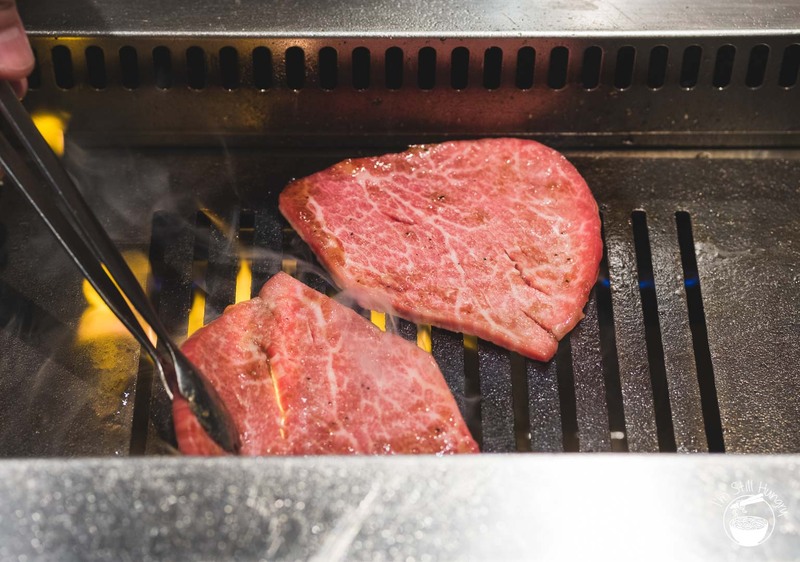 All grilled with speed, all delicious in their own way. As with almost every other piece, it’s cooked in under 15 seconds. If I had to caption every piece of cooked meat I’d end up overusing the word ‘so good’, so I’ll just use it here once and you can ‘apply to all’. 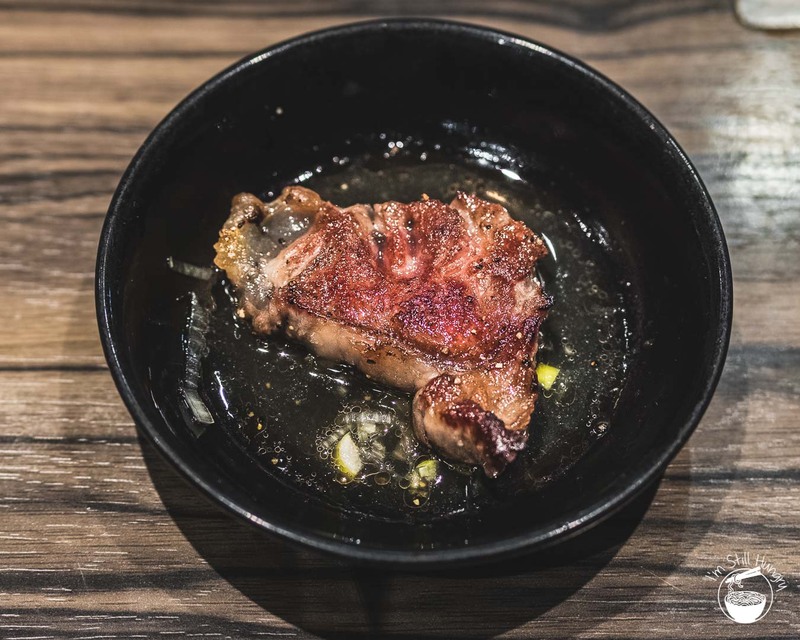 Each cooked piece went into one of two sauces – a soy-based version with kombu and bonito dashi, with the other a more Korean-style sauce with sesame, pepper and a clean, saltier kick. 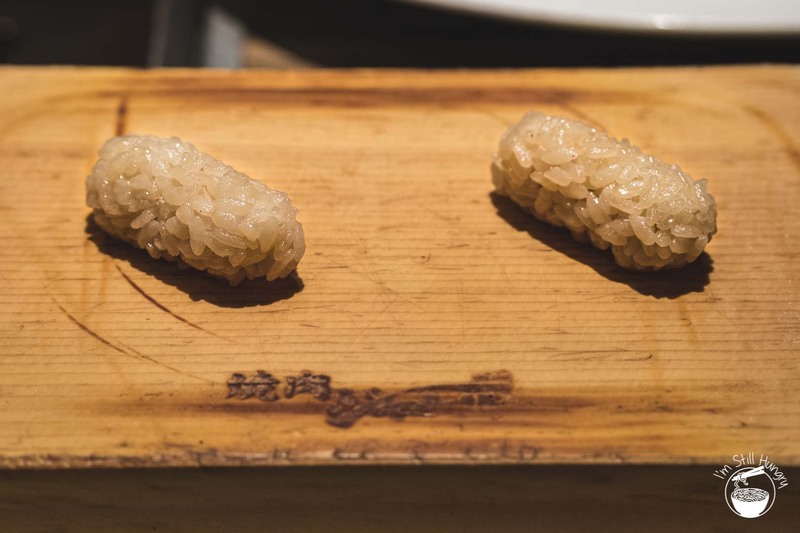 Like high-end sushi chefs deciding the level of soy, not you, so it is the same here. The cook, which for us was Nanbara-san half the time, puts each piece into the correct sauce. No negotiations or you’re on the chopping block. 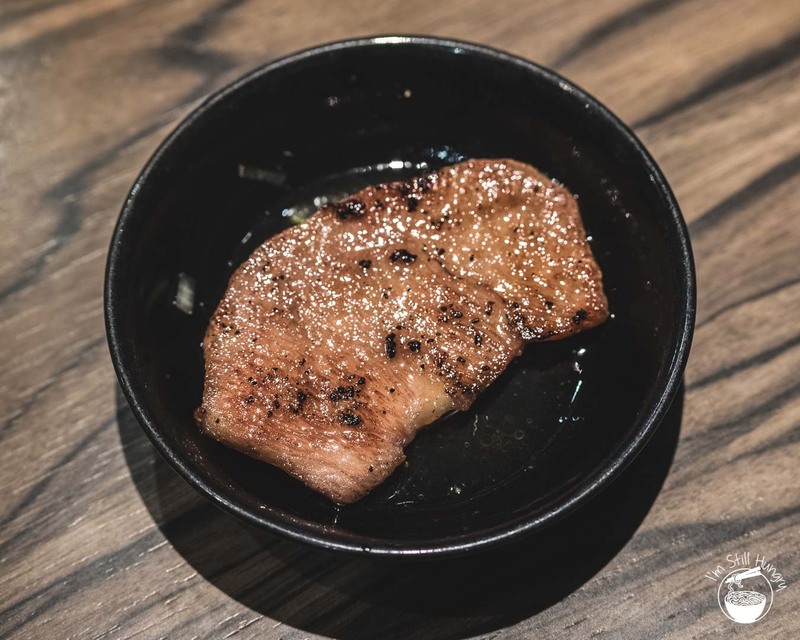 Nanbara’s treatment of each and every course could only be described as ‘reverent’. Like you would expect grill masters, there is very little pre-processing. 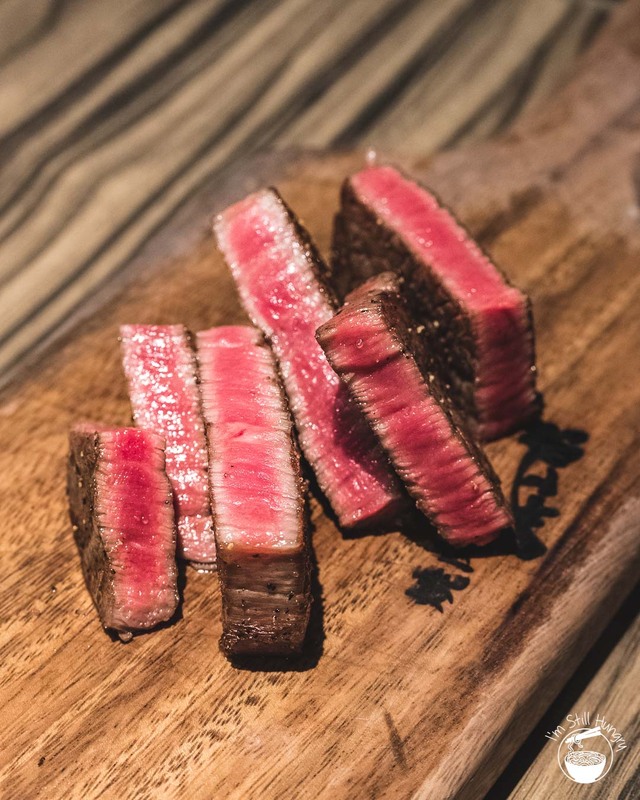 Yes, knife skills – ensuring each slice of beef is cut to the right thickness – are on display. But this is no place for gastronomy or the next revolution in seasoning. Guaranteeing input quality means the challenge to executing is restraint, and in no small part those secret sauces. It’s what makes Jumbo, well, Jumbo. It’s no exaggeration to say that careful cooking aside the condiments made the difference. 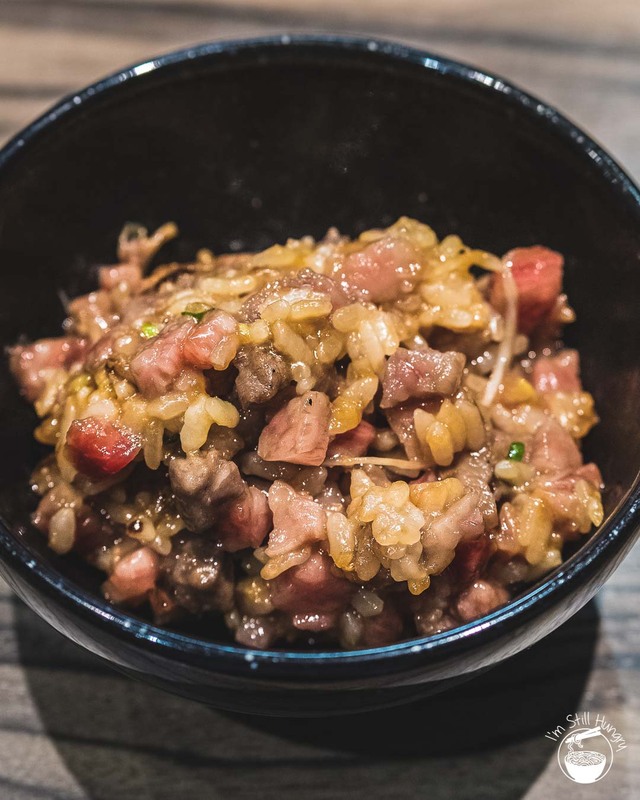 There are at least two types of rice dishes at Jumbo: gyutan (wagyu tongue), and yukke (yukhoe – raw seasoned beef, a Korean dish). Both should be ordered in advance. They didn’t have the gyutan rice available and we didn’t pre-order the yukke rice. However, asking nicely, we got it cooked from scratch! Holy cow (sorry), I love beef. Sadly it’s my greatest hypocrisy: consuming one of the most environmentally taxing sources of sustenance while simultaneously giving two hoots about sustainability – yes, seriously. Large-scale beef production undoubtedly bad for the environment. And yet, it’s so delicious. So how do I reconcile this admittedly obnoxious quarrel with my morals, without turning vegetarian and thus ending my culinary life as I know it? 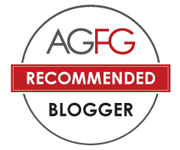 Eat beef, do it infrequently, and make it the good stuff. Consuming meaningful quantities of red meat perhaps only one or two times a month, from cattle reared better than some people is the answer with which I’ve made my peace. It also makes sense that if you treat your produce – in this case, animals – right, the results will be fabulous. And Jumbo Hanare is as fabulous as they come. Thank you, good sir (and uh yeah, this was taken outside Jumbo Hongo, like it wasn’t confusing enough). Also thanks for coming out to eat with me @williamansari! 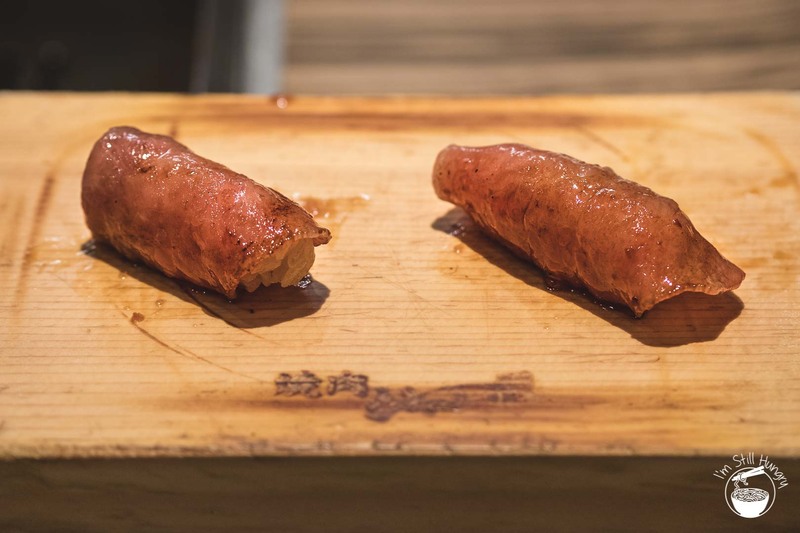 This post is based on an independently-paid visit to Yakniku Jumbo Hanare. Many thanks to Anna of Juan Bowl & Tea for nabbing a reservation with Nanbara-san himself!